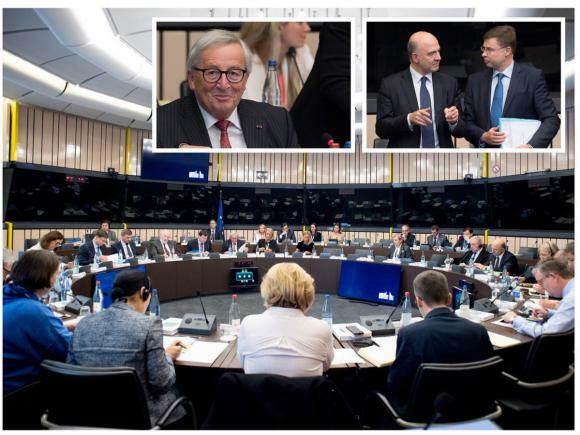 On 23 October, the EU Commission released the Commission Work Programme 2019 titled “Delivering what we promised and preparing for the future” which sets out its key initiatives for the year ahead, including the expected legislative proposals. The 2019 Work Programme focuses on 15 new initiatives, and an additional 10 new REFIT evaluations, to review existing legislation and ensure it is still fit for purpose. To ensure a focus on delivery, the Commission Work Programme also lists the 45 pending priority proposals under the Joint Declaration on legislative priorities, for adoption by the Parliament and Council before the European elections. The Commission also suggests to withdraw - or repeal- 17 pending proposals or existing laws. (For further information, please see Annex2 to this Circular Letter). BREXIT. Additionally, the Commission will table legislative proposals in November 2018 to address the visa status of UK nationals (Proposal to place the United Kingdom on either the ‘visa required’ list of third countries or the ‘visa free’ list /expected by Q4 2018) and to adjust the figures in EU energy consumption and energy efficiency legislation. The Commission will also present a number of delegated and implementing acts, and it will monitor developments closely and propose other measures if and when necessary. CLIMATE. The EU Commission recognises that challenges arising from an increasingly volatile global situation in which demographics, competition for resources, and climate change require a shared push to sustainability. New initiatives include as well, the fight against climate change and the reduction of greenhouse gas emissions by at least 40% by 2030 in line with the Paris Agreement. TRADE. Priority pending proposals. In the framework of the priority "A balanced and progressive trade policy to harness globalisation"
Tariff rate quotas included in the World Trade Organization (WTO) following the withdrawal of the United Kingdom from the Union. Proposal for a REGULATION OF THE EUROPEAN PARLIAMENT AND OF THE COUNCIL on the apportionment of tariff rate quotas included in the WTO schedule of the Union following the withdrawal of the United Kingdom from the Union and amending Council Regulation (EC) No 32/2000. Initiatives that indirectly might be of interest for the Forestry-based sector. Energy efficiency targets – preparing for Brexit. Proposal to adapt references to EU energy efficiency targets (expressed in absolute values) for 2030 to an EU at 27. The Commission Work Programme 2019 and related documents are available on the official EU Commission website.